We are specialists for the latest orthodontic treatment techniques for children, adolescents and adults. Our longtime experience in orthodontics facilitates to correct teeth malpositions of patients of all ages. We utilize state-of-the-art technology combined with customized lingual technique, invisible aligner or esthetic ceramic braces – we can offer you different effective treatment possibilities. We allow extra time and take an integrated look to be responsive to your individual request. 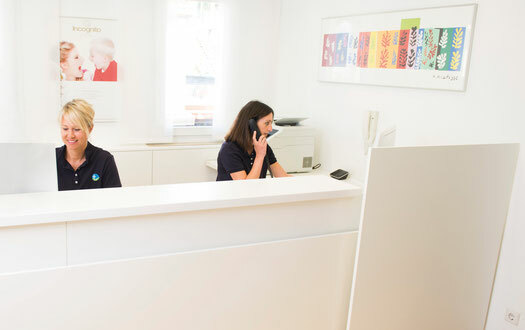 In a personal consultation, we like to inform you comprehensively about your individual treatment options and solutions.